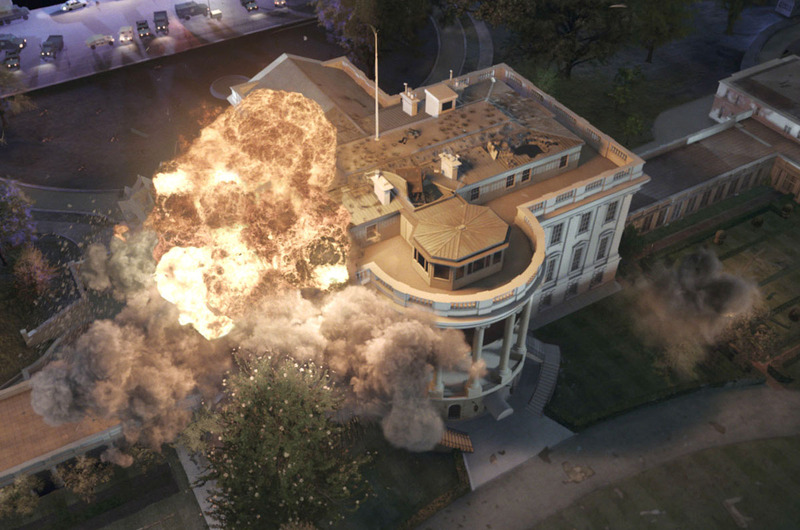 OLYMPUS HAS FALLEN —-I wasn’t expecting much from this, and plead guilty to mildly enjoying what I got. Those sick & tired of movie-terrorist mayhem and unfazed-by-body-count heroes will pass this like roadkill. Others, action-lusters keen for mayhem and righteous buttkicking will be in their element. Zenlike, I surf between both Worlds. North Korean bad guys (nice job, film-makers, needlessly amping up the threat level) attack the White House, seize the Prez and knock down the Washington Monument. Disgraced former Secret Service ultra-badass Gerard Butler must set things straight. Alone. His kid is in danger! Before that, enough extras and supporting players get shot in the head to humble the crew of The Walking Dead. This is a pretty darned brutal movie that doesn’t waste a lot of time with niceties (like, uh…logic). Getting roughed up, looking concerned or making threats are Aaron Eckhart, Morgan Freeman (why am I not surprised? ), Rick Yune, Angela Bassett (why am I not surprised, Part Deux? ), Dylan McDermott, Melissa Leo, Radha Mitchell, Robert Forster, Cole Hauser, and in the jolting opener, Ashley Judd. Antoine Fuqua directed the $70,000,000, 119 minutes of copious volleys and special effects with energetic style and registers rang up $161,000,000.